The owners of the Old Brewery House Hotel in Reepham are reported to be seeking offers for the property with a view to sell. Old Brewery House Hotel for sale? It is understood that the owners, a related firm to Oxford Hotels & Inns, which is the lessee/management company, acquired the Grade II listed building at the height of the property market, but have invested little in the hotel since then. The hotel incorporates a bar, restaurant, breakfast room and public rooms, as well as 23 en-suite bedrooms. The leisure club was closed in December (although this still appears on the group’s website). While the building retains many of its original features, such as staircases and wood panelling, work on renovation and refurbishment is likely to run into millions. In 2012, the Old Brewery House was moved to the management of Oxford’s pubs division, which now comprises just four hotels, while the majority of the group’s properties were brought under the management of Bespoke Hotels. It is understood that in recent years, several interested parties have made tentative offers for the hotel, which has apparently been on the market informally for some time. The owners have not yet appointed selling agents, but may do so in due course. The listed Georgian building was built in 1729 and originally named the Dial House because of a large sundial over the front door. 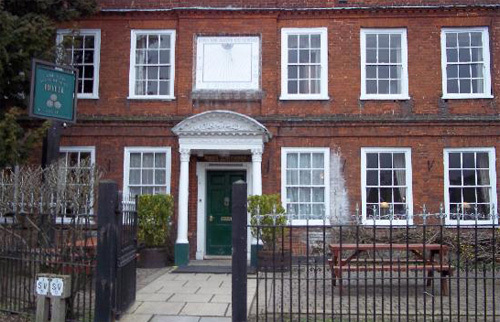 The house was converted into a commercial hotel in 1972 and renamed The Old Brewery House Hotel in recognition of its previous role as residence of the Bircham family that had run a brewery in Reepham for several generations, and because one of the hotel’s principal rooms used to be the brewery.